New Delhi July 12 (IANS) One of the key reasons for the relatively low Wi-Fi connectivity in India is the limited penetration of home broadband says an analyst with London-based OpenSignal which specializes in crowdsourced wireless coverage mapping all over the world. Wi-Fi connectivity in India is still well below more developed markets such as the US where it has reached around the 50 per cent mark said Peter Boyland in a blog post on Thursday. In Europe in particular large numbers of subscribers buy their mobile broadband and TV services from one operator. But this business model is simply not affordable for most Indians. So the operators have largely chosen to concentrate on mobile as opposed to fixed-line networks resulting in low penetration of home broadband connectivity in the country Boyland said. This may also explain why subscribers on Jio s mobile network spend significantly less time on Wi-Fi compared to its rivals he added. Of India s four biggest mobile operators Vodafone subscribers spend the most time connected to Wi-Fi networks at 20 per cent of the time according to OpenSignal data which covered the 90 days from March 1 of this year. 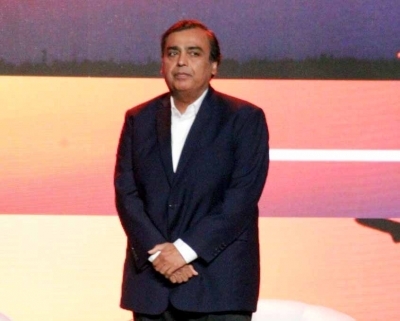 Reliance Industries (RIL) Chairman and Managing Director Mukesh D. Ambani last week said the company was all set to launch a fibre-to-the-home broadband services JioGigaFiber soon. "We will now extend fiber connectivity to homes merchants small and medium enterprises and large enterprises simultaneously across 1 100 cities to offer the most advanced fiber-based broadband connectivity solutions " Ambani said while addressing the shareholders at the 41st Annual General Meeting of RIL. Starting this Independence Day August 15 people can start registering for JioGigaFiber through both MyJio and Jio.com. A joint report by Google and global research firm Analysys Mason released earlier this month showed that public Wi-Fi alone in India has the ability to capture 40 million new connected users by 2019 resulting in at least $20 billion being added to the country s GDP. The government is planning to provide public Wi-Fi coverage to some 250 000 Panchayats and 5 000 railway stations within the next two years. But even though the focus on Wi-Fi has been renewed Wi-Fi connectivity among mobile users is still relatively low in India Boyland said.